Who writes a book in 7 days? Pat B. Freeman did! Written and published as a 7-Day Challenge by the author, this book of inspirational quotes embodies principles of success that are Purpose Driven, Passion Powered, and Prosperity Bound. This book is a quick read that's packed with power. 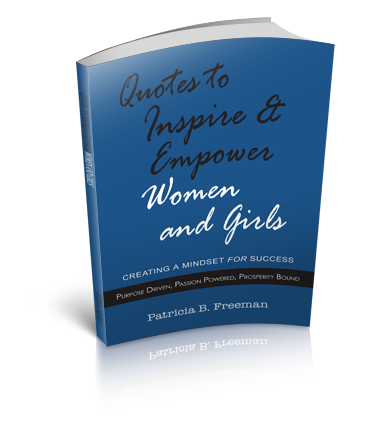 Enjoy quotes by Pat and 39 other women and men as they share their mantras of inspiration and empowerment. Read and Grow!